If it seems like there’s been a lot of activity in the small crossover SUV segment lately, you’re not imagining things. 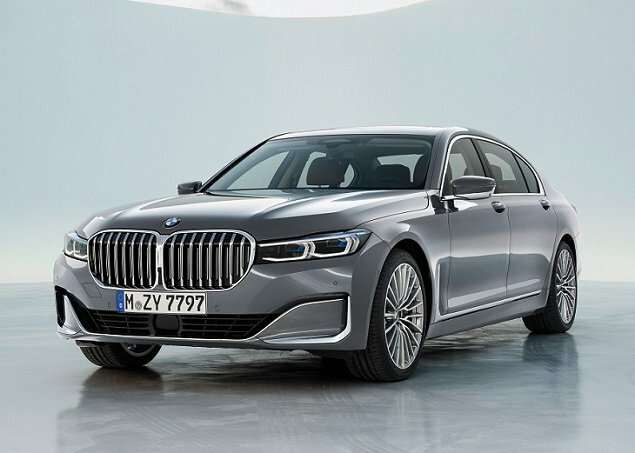 A number of all-new models have been introduced in the past few years, and sales for the segment are forecasted to nearly triple over the next five years. Featuring a fresh, Brazilian-inspired design, a healthy dose of standard tech, and armed with a starting price beneath $18,000, the 2018 Nissan Kicks looks to be a formidable player in the rapidly growing small SUV segment. With the introduction of the new Kicks, Nissan adds to its growing portfolio of SUVs that now includes five crossover utility vehicles (CUVs) – joining the popular Rogue, as well as the Rogue Sport, Pathfinder, and Murano – in addition to the body-on-frame, full-size Armada SUV. For those of you keeping score at home, that’s a total of six(!) CUVs/SUVs, all under the Nissan umbrella. Aimed at young, culturally diverse urbanites, the new Kicks will mainly compete against a handful of other small CUVs, including the recently introduced Hyundai Kona, as well as the Kia Soul and the Ford EcoSport. Buyers are also likely to cross-shop the Chevrolet Trax, Toyota C-HR, and the Honda HR-V. Inspired by the Brazilian Kicks Concept vehicle, the new 2018 Kicks is the result of a joint project between two Nissan Design studios – one in America and one in Rio de Janeiro – that was first displayed at the 2014 Sao Paulo Motor Show. Nissan says the SUV’s design reflects Brazilian culture and style. The new Kicks also incorporates current Nissan design language and features, such as the V-Motion grille, boomerang headlights and taillights, and “floating” roof design. When it hits the market, the Kicks will be available in seven solid colors, as well as five different two-tone exterior color combinations: black roof over orange, white, or red; orange roof over gray; and white roof over dark blue. It’s a similar strategy to the one employed by Mini with some varieties of the Cooper. When you factor in the black-color floating roof section, it actually presents as a three-tone combo, making the car even more unique. For extra personalization, Kicks buyers can also accessorize their wheels with colored inserts, which can be installed by the dealer or the car owner. It sounds hokey, but it’s actually a pretty cool look, effectively and tastefully tying in different layers of the car and presenting an accessorized appearance. It’s similar in concept to how you’d put together an outfit for a night on the town. Inside the cabin, things normalize a bit, but the Kicks does feature materials that look and feel nicer than what you’d expect for the price, even on the base model. Interior space is also quite generous for a vehicle of its size – especially for passengers. Nissan says the Kicks offers best-in-class front leg room and head room, but I’ve learned to take these claims with a grain of salt. However, based on my experience in the SUV, those claims might very well be valid. I had more than enough leg room in the driver’s seat – I didn’t even need to adjust the seat all the way back like I normally do in this type of vehicle. And head room was more than ample. At 6’ 1”, I had plenty of room between the top of my head and the roof. Though I'm tall-ish, the Kicks provides an overall feeling of space and airiness. Rear-seat space is also quite generous, belying the overall, somewhat diminutive size of the vehicle. Two adults would be quite comfortable in the back seat, even for long trips. And while the rear seat does have three seat belts, I can’t recommend putting three full-size adults back there at the same time. Three children would fit better, but I can’t in good conscience recommend doing that either, as the resulting arguments would have you wishing you bought a 3-row Pathfinder or Armada. Cargo space behind the second row – all 25.3 cu. ft. of it – is adequate for a weekend’s worth of gear, but not much else. If you’re going to help your friends move – or make a Costco run – rent a truck or borrow your mom’s minivan. The 2018 Nissan Kicks comes in three trim levels: S, SV, and SR. The base S model comes nicely equipped and is priced at a very competitive $17,990. Notable features include automatic emergency braking, Bluetooth hands-free phone, rearview monitor, 3 USB ports, intelligent headlights, Easy Fill tire alert, and a 7-in. color touch screen. 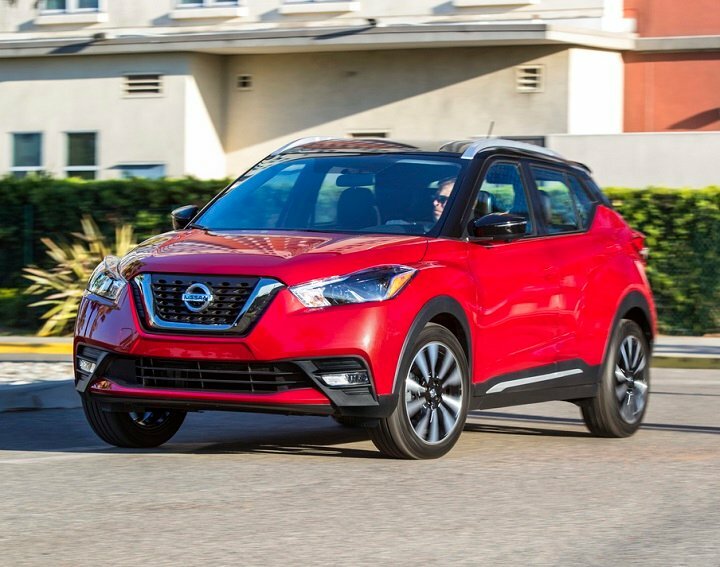 The Nissan Kicks SV ($19,690) adds, among other items, Apple CarPlay and Android Auto, satellite radio, blind-spot monitoring, rear cross-traffic alert, 17-inch alloy wheels, auto climate control, and rear-seat heater ducts. Step up to the sporty SR trim ($20,290) and you get LED headlights, leather-wrapped steering wheel and shift knob, upgraded seat fabric, 360-degree camera, and Nissan’s Integrated Dynamics-control Module, which consists of intelligent engine braking, intelligent trace control, and active ride control. 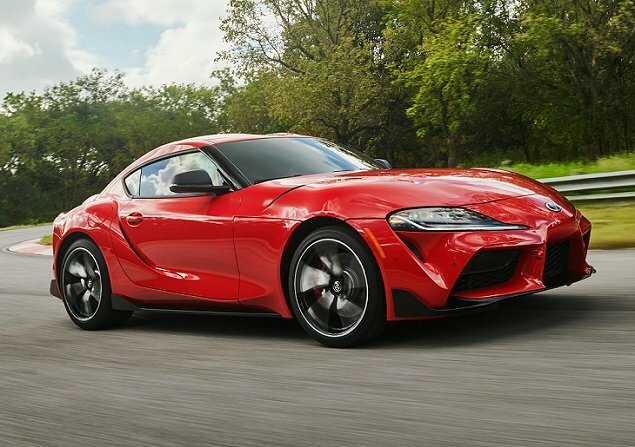 The SR is also available with a Premium Package, which adds another grand to the bottom line ($21,290). It consists of a Bose Personal Plus sound system, heated “Prima-Tex” seats, and a vehicle security system. The Kicks is also available with a healthy list of optional accessories, ranging from the ridiculous (illuminated kick plates - $370) to the sublime (Rockford Fosgate subwoofer - $595). The dashboard and instrument panel of the Kicks are laid out logically, everything pretty much where you’d expect it to be. Except for a tachometer, which is MIA. Considering the target market for the car, and the fact that it’s not a performance vehicle, a tachometer was deemed unnecessary, and I’d have to agree. While the Kicks doesn’t have a tach, I’m pleased to report that the SUV’s audio system does come with actual knobs for volume and tuning control. Thank you Nissan! Also, climate controls can be accessed via traditional buttons and knobs, rather than having to interact with a touch screen. Again, kudos! The Kicks also comes with Nissan’s NASA-inspired Zero Gravity seats, but I have to admit, they weren’t as comfortable as the ones in a Nissan Maxima that I tested recently. Perhaps not all Zero Gravity seats are created equally? The Kicks is all about affordable tech, and is sure to attract the interest of young millennials who seemingly go everywhere with their friends and their phones. The SUV offers a nice array of safety and technology features, including a standard 7-in. touch-screen display, standard Bluetooth streaming audio with available Apple CarPlay and Android Auto, optional 7-in. advanced driver-assist display, and an available Bose Personal Plus audio system that’s sure to please even the most discerning audiophiles. The segment-exclusive Bose sound system, available on the top-grade SR with Premium package, features 8 speakers, including two 2.5-in. “UltraNearfield” speakers in the driver’s seat headrest. The headrest speakers feature unique digital signal processing, according to Nissan. The net result is what Nissan calls “360 degrees of immersive sound.” That may sound like marketing babble, but the system does offer a unique listening experience, providing crisp, clear sound directly to your ears. In fact, this technology should be rolled out to all convertibles and sports cars, where wind/engine noise can put a damper on listening enjoyment. Nissan is also proud of the fact that the Kicks comes standard with automatic emergency braking (AEB), making the advanced safety feature available at a much lower price point than the competition. For example, you’d have to spend nearly $10,000 more to get the same feature on a Hyundai Kona. Curiously, you can’t get a navigation system on the Kicks, even on the top SR trim level with Premium package. Nissan must have decided that most people will simply use the nav system on their paired smartphone if they need driving directions. As of this writing, the Kicks has not been rated for crashworthiness by either the Insurance Institute for Highway Safety (IIHS) or the federal government’s National Highway Traffic Safety Administration (NHTSA). To test drive the new Kicks, I spent a day driving the CUV in and around San Diego, CA. The drive route included the usual variety of city streets, interstate/freeway, and 2-lane highways. My test vehicle was outfitted in top-level SR trim, and included the Premium package. Options included two-tone Aspen White paint under a black roof ($545) and floor mats ($215). Including the $975 destination fee, the total vehicle price was $23,025. For such a small vehicle, the Kicks provided easy ingress/egress, comfortable seating, and a roomy cabin. As described earlier, features and controls – while relatively simplistic – were right where they should be and caused no angst. It’s actually refreshing to drive a vehicle that doesn’t overly complicate the driving experience with needless flair or distraction. All 2018 Nissan Kicks models come with a 1.6-liter 4-cylinder engine, providing 125 horsepower at 5,800 rpm and 115 lb.-ft. of torque at 4,000 rpm. Power is sent through a continuously variable transmission (CVT) to the front wheels. Although the Kicks is marketed as a crossover SUV, all-wheel drive is not available. This is not completely unprecedented, however. Kia takes the same approach with the Soul and it hasn’t seemed to dampen sales of that model. Also, keep in mind the Kicks is aimed at urban dwellers who would really have to go out of their way to find gravel or dirt trails to explore. Still, if you live in a wintry weather climate or plan to do a fair amount of driving on ice and snow, invest in a good set of snow tires to make up for the absence of AWD. While performance isn’t brisk, acceleration and power are more than adequate. The Kicks tackled the rolling hills and small mountains in and around San Diego with aplomb. The car never gasped for breath, even if engine noise was a bit high when climbing steep upgrades. And while I’m generally not a huge fan of CVTs, continuous improvements to the design over the years have made it an acceptable if uninspiring means of shifting gears. The Kicks also offers good fuel economy, even for a small vehicle – something that’s important to younger buyers who may not have extra money for gas. According to the EPA, the Kicks offers best-in-class fuel economy of 31/36/33 mpg (city/highway/combined). In terms of driving dynamics, the Kicks had a firm yet compliant ride. There’s no ride quality penalty that you’d typically experience with a vehicle having a relatively short wheelbase. And, at fewer than 2,700 lbs. of curb weight, the Kicks was light on its feet and handled credibly on the twistier portions of the driving route. No wallowing or excessive body roll to report here. Braking was uneventful, though we really didn’t get the opportunity to push the SUV very hard, as most of the driving was not spirited. Visibility from the driver’s seat was excellent, though shorter drivers might have some difficulty with the taller doors/high beltline of the vehicle. Fortunately, seat adjustments can offset most, if not all of this. By offering expressive style in a unique design, unexpected technology, and strong value, the Nissan Kicks is a worthy new competitor in a segment that’s going places, even though the overall sales numbers are still relatively small. Nissan has clearly positioned itself well in a segment that’s sure to see new entries hitting the market. 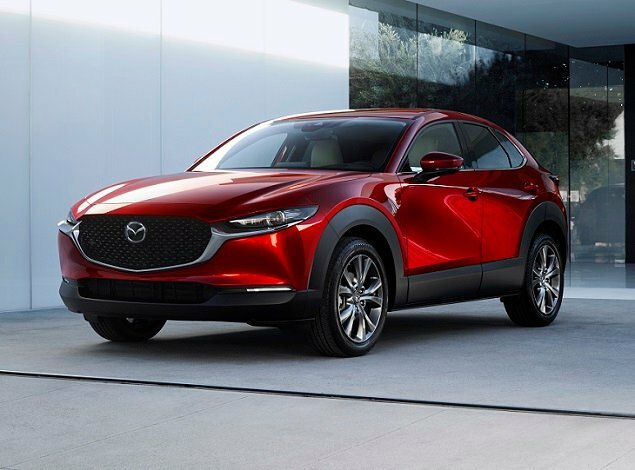 The biggest challenge for the company will be to convince potential buyers that it’s different enough from the recently ousted Juke to be taken seriously, as well as keeping it from suffering an identity crisis within Nissan’s heavily populated CUV/SUV lineup.